The Prince of Asturias Award for Concord will be announced this coming September. The juries charged with conferring the 2013 Prince of Asturias Awards met in Oviedo during May and June, except for the jury for the Prince of Asturias Award for Concord, which is to meet in September. The jury for the Arts opened the thirty-third edition of the Prince of Asturias Awards. 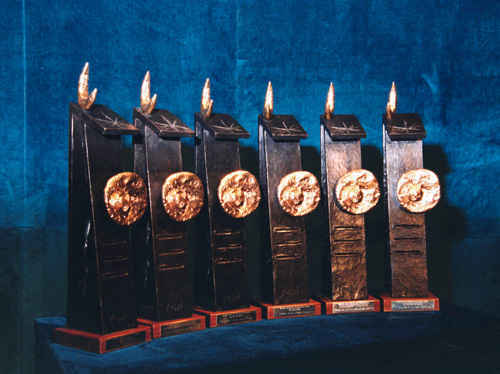 The award was conferred on the Austrian filmmaker Michael Haneke “for his filmmaking deeply rooted in European culture. Employing radical sincerity, keen observation and extreme subtlety, his work constitutes an original and highly personal approach to fundamental issues that concern and affect us both individually and collectively”. The 2013 Prince of Asturias Award for Social Sciences was conferred on the Dutch sociologist Saskia Sassen. As stated in the minutes of the jury, “her main fields of study are immigration and the role of major cities in the management of the international economy. One of her greatest scientific contributions was her concept of the ‘global city’, now accepted and employed in all the social sciences”. The Prince of Asturias Award for Communication and Humanities was conferred on the American photographer Annie Leibovitz, who has been “one of the driving forces of world photojournalism and one of the most highly respected photographers in Europe and America. Her work has appeared on scores of covers of the most prestigious journals and she has achieved recognition for her snapshots and portraits which reflect an era of politics, literature, film, music and sport through its leading figures,” according to the minutes of the jury that granted the award. The 2013 Prince of Asturias Award for Technical and Scientific Research was bestowed on the physicists Peter Higgs (UK) and François Englert (Belgium), together with the European Organization for Nuclear Research (CERN) “for the theoretical prediction and experimental detection of the Higgs boson. This particle completes the Standard Model, which describes the fundamental components of Nature, and is responsible for certain elementary particles possessing mass”. The 2013 Prince of Asturias Award for Literature was conferred on the Spanish writer Antonio Muñoz Molina “for the depth and brilliance with which he has narrated relevant fragments of his country’s history, crucial episodes of the contemporary world and meaningful aspects of his personal experience. A body of work which admirably reveals his condition as an intellectual with a commitment to his time”. The 2013 Prince of Asturias Award for International Cooperation was bestowed on the Max Planck Society for the Advancement of Science. As stated in the minutes of the jury, “the jury has prized the European vocation of the Society, its interdisciplinary approach and the close cooperation among research centres and universities around the world with which the Max Planck network works, generating teams of highly qualified young scientists engaged in cutting-edge fields of research carried out worldwide”. Finally, the 2013 Prince of Asturias Award for Sports was bestowed on José María Olazábal, “one of the greatest golfers in history, winner of two Augusta Masters and four Ryder Cups, a competition in which he also demonstrated his leadership ability when captaining the European team to an epic comeback in 2012”, according to the minutes of the jury. Each of the Prince of Asturias Awards –conferred for the first time in 1981– comprises a Joan Miró sculpture representing and symbolising the Award, a cash prize of €50,000, a diploma and an insignia. The Awards Ceremony, presided over by HRH The Prince of Asturias, will be held in Oviedo in the autumn.